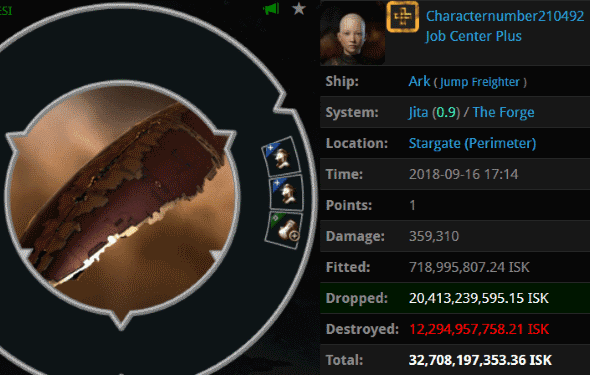 Numb Nutss threw away 3.1 billion isk on a capacitor-tanked blingy battleship. The nearest battleship-sized dumpster was too far away, so he took it to Uedama. 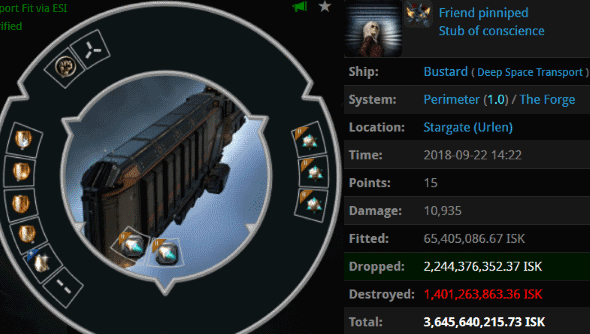 Agents holdmybeer, holdmypleb, Pleb Tea, Kullanmuru, and Hide Yo Freighters dutifully disposed of the ship, along with its 1.2 billion isk pod. Still not used to the new Bustard portrait. At any rate, Friend pinniped chose to take his Deep Space Transport to a 1.0 security system, which I don't really think of as "deep space". Agents Gandor Ironfist and Spazmongloid were ready to blap him with a pair of Tornadoes. The Bustard pilot lost billions for his non-compliance. Omega Retribution Blast Zone corporation faced a triumvirate of fearsome opponents: Organic SP-Farmers Association, Mercenary Coalition, and the mighty CODE. alliance. 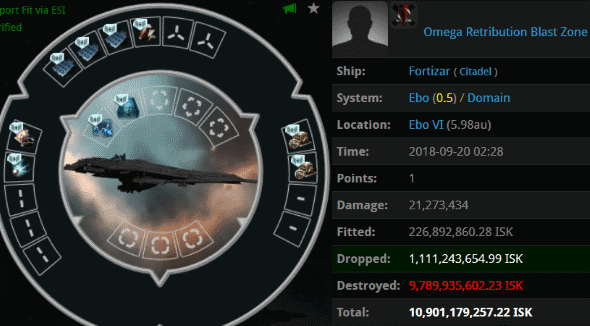 In the end, the good guys won the wardec by trashing Omega's 10.9 billion isk Fortizar. The allied fleet consisted of Agents Chocolate Rainbow Cake, Discofitta, Sigrid Tystnad, Love Humps, Ice is Nice, Blazing Pancake, Kissemurra, Dominated, Delicate Feminine Flower, Rainbow Cake, Jathrine, dumb peyote, demigod peyote, darling peyote, Zedd Yeti, dong peyote, dabbing peyote, danish peyote, Bonobo Yeti, deadmouse five yeti, Eva Mavas, RootyTooty PointNShooty, TrippleX Ozzy, Kermakakku, Inner Drive, DeathBunny, Tytalus Warden, and Improved Fortnight, who brought an impressive number of Leshaks to the fight. Some people never learn. Sarah Lipton is one of those people. Her jump freighter was left unattended in Jita, home to some of the most courageous gankers you'll ever have the pleasure of meeting. Sarah was AFK, but the gankers managed to have a meaningful interaction with her anyway: Joel Kusion, Jayson Kusion, Franz Fizzleblade, Jayden Kusion, Justin Kusion, Jason Kusion, Walther Fizzleblade, Matt18001, Hermann Fizzleblade, Jack Fizzleblade, Karl Friedrich Fizzleblade, Jake Kusion, Richard Gold, Gottfried Fizzleblade, Jack Paut, Jacob Kusion, Hagen Fizzleblade, Jeremiah Kusion, Erich Fizzleblade, Jeremy Kusion, Josh Kusion, Jackson Kusion, Joseph Kusion, Lutz Fizzleblade, Joshua Kusion, Piou Pew, Archibald Fizzleblade, Lich Terminus, Johnathan Kusion, Menkooro Nostro, and MakeHighsec GreatAgain. I suppose if you want to lose a bunch of money but you're afraid of Uedama, you can always go to Jita. Characternumber210492 also lost a staggering amount of isk in a Jita jump freighter: 32.7 billion isk. He was defeated in honourable combat by Agents Templer Three, Lutz Fizzleblade, Lanse Lot, Justin Kusion, Jason Kusion, Walther Fizzleblade, Joel Kusion, Ciek Ciekawski, Jayson Kusion, LordPepstores, Johnathan Kusion, Jake Kusion, Piou Pew, Franz Fizzleblade, Templer Two, Karl Friedrich Fizzleblade, Ilvari, Hermann Fizzleblade, Yojiro, Hagen Fizzleblade, Jack Fizzleblade, Jack Paut, Emergent Gameplay, Archibald Fizzleblade, Templer One, Jackson Kusion, Jeremiah Kusion, Erich Fizzleblade, Joshua Kusion, Dry Tears, Gottfried Fizzleblade, ZAKURELL0 LINDA, Templer Eight, SKAfan, JF Poddington, Templer Six, Lich Terminus, Jayden Kusion, Syzzel, Anime Wasa Mistake, Joseph Kusion, Josh Kusion, Jacob Kusion, Jeffery Kusion, Jonas Kusion, Templer Four, Templer Seven, Jeremy Kusion, Templer Five, xter Roling, Zebidiah Uta, and Miraille. The ship contained two Fortizars--saving our wardeccers a wardec fee or two. 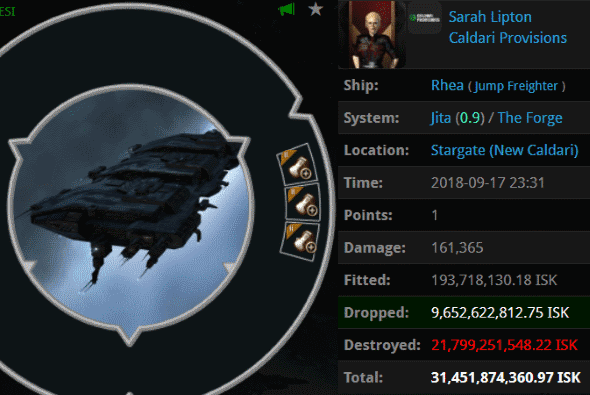 Johny Bouchac brought his 2.5 billion isk Tengu to a "Rogue Swarm event". Without a permit, however, Johny himself was the rogue. Agent Ernst Steinitz saw to it that the Tengu was destroyed. 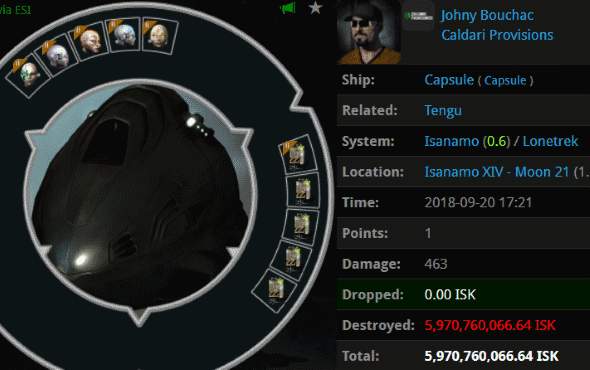 Apparently Johny was asleep at the switch, because he also allowed himself to lose a 5.9 billion isk pod to Agent Ernst in the aftermath. You know, it occurs to me that Johny could've been glorifying the Code instead of spending all of his time engaged in senseless PvE. What a waste. I am still convinced that antiganking is using some kind of exploit to fail so hard. 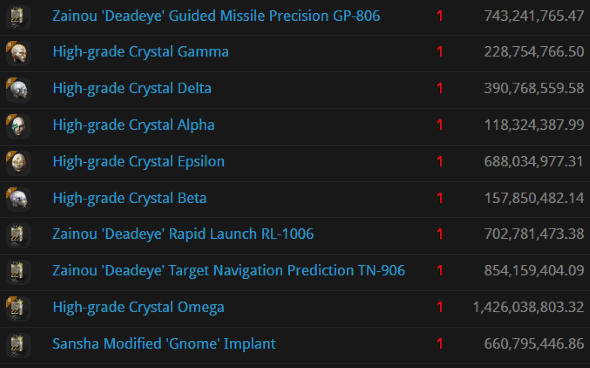 I have reported them to CCP. CCP will review your case, laugh at your case and will give you a warning. Take my advice, they won't tolerate a waste of time kind of case. I disagree, i personally have contributed to the workload of GMs by ganking illegal miners for over 5 years. Now multiply that by 900 for the time wasted daily over that time for all of CODE. That is some A grade GM time wasting. Ps: that does not include the ag tears CCP receive from failing so badly daily. That's no fun. I enjoy you guys ganking miners, we go after the source of your illegal mining problem. We've been watching the failing AG community implode for 5 years, and we are on the rise. I'll just sit back and watch the salt of their teeth turn sour of your victims, while we hammer the nail in the coffin on AG once and for all. Since when did CODE. start killing Citadels? Looks like we missed one and The Great One will give you a small thanks. We got more important issues, i.e. Citadels to purge in his name, to deal with. The New Order noticed an increased activity of illegal miners trying to set up their own citadels and quickly formed up a response fleet to start keeping the space clean and taking the trash out! @anom 11:40, you really haven't heard of Jim Halescott haven't you? 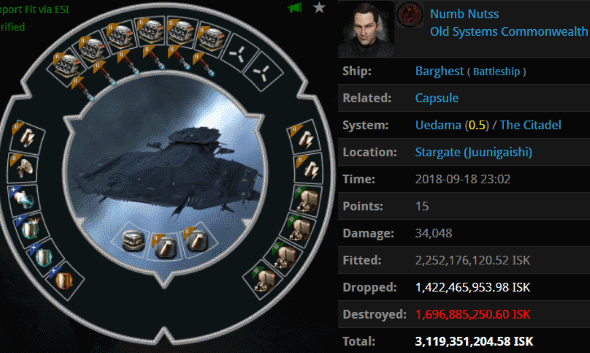 "Numb Nutss threw away 3.1 billion isk on a capacitor-tanked blingy battleship. The nearest battleship-sized dumpster was too far away, so he took it to Uedama." LOLOLOLOL Ohhhh, Savior. You still crack me up.